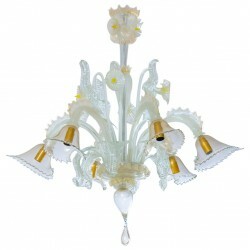 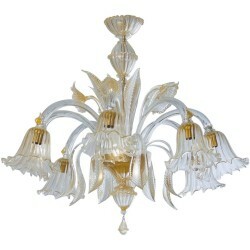 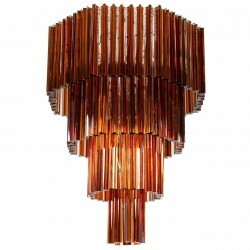 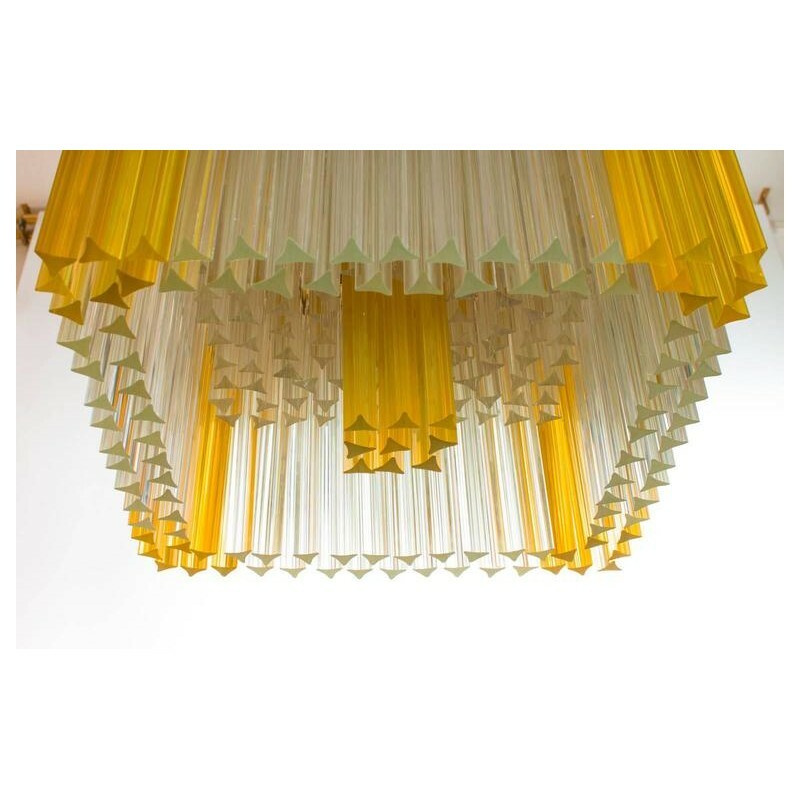 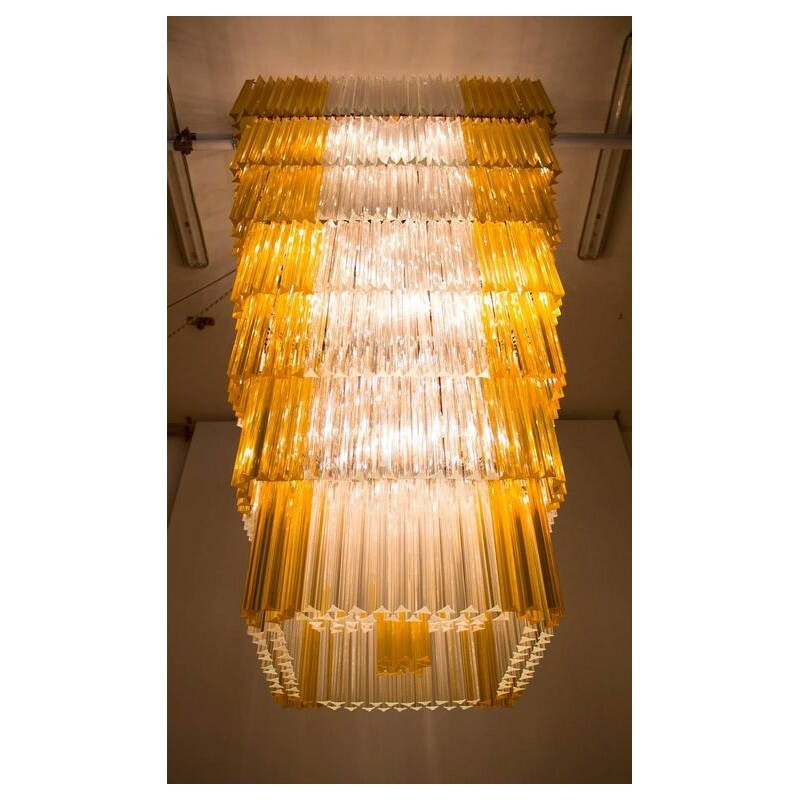 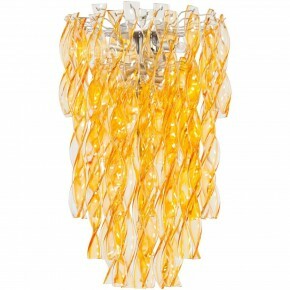 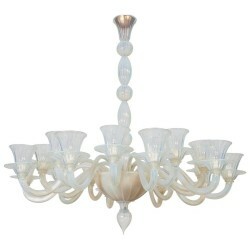 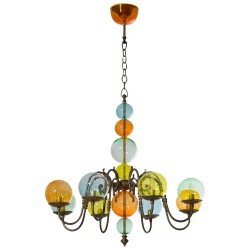 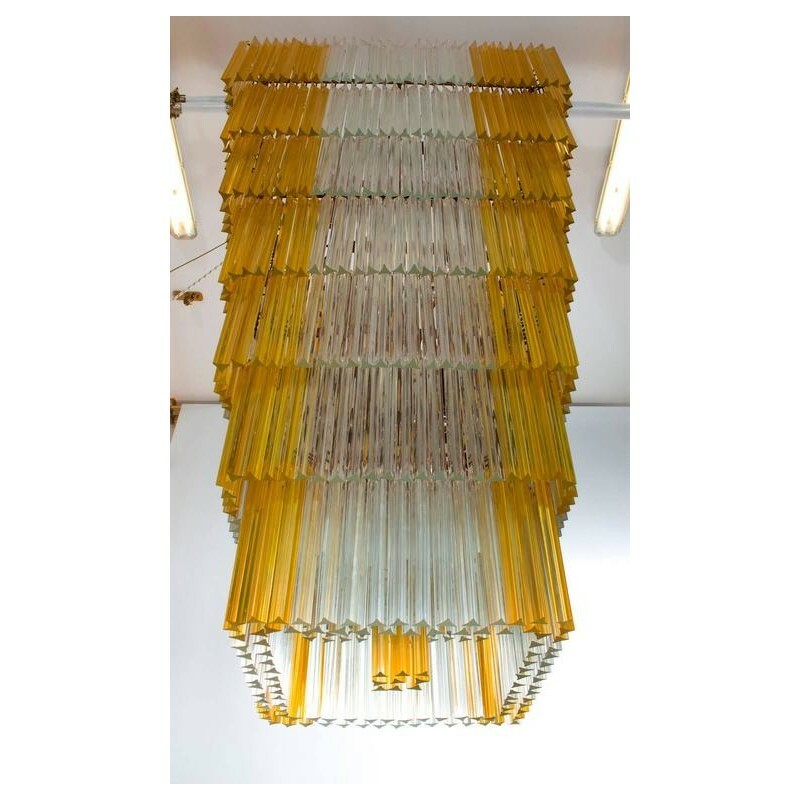 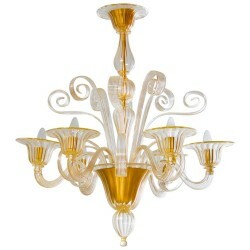 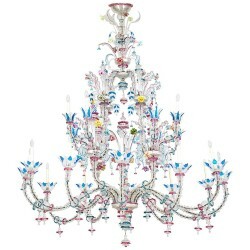 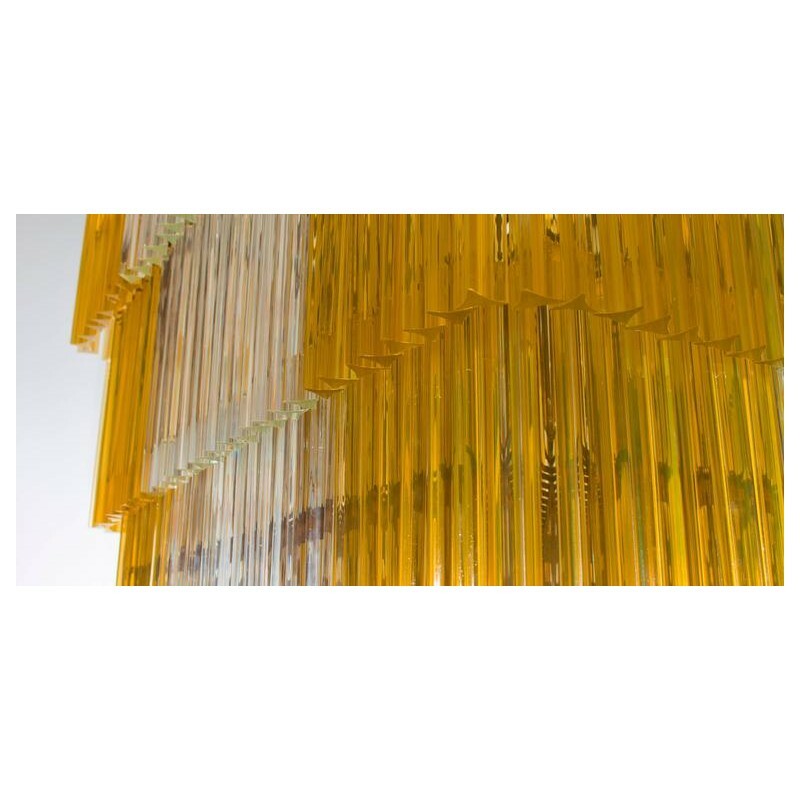 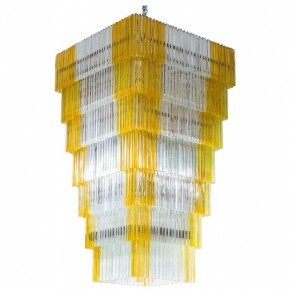 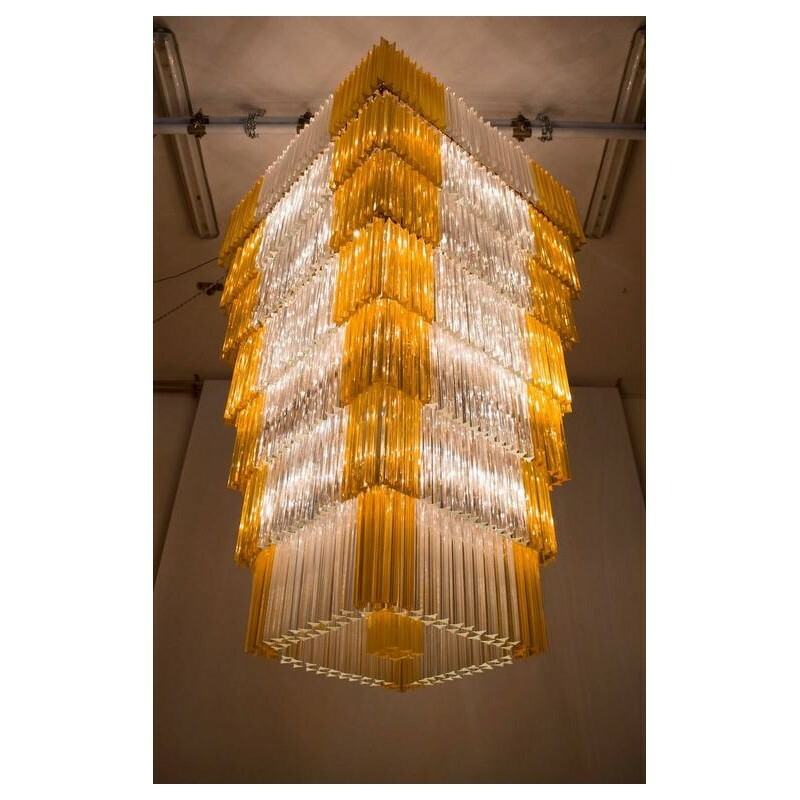 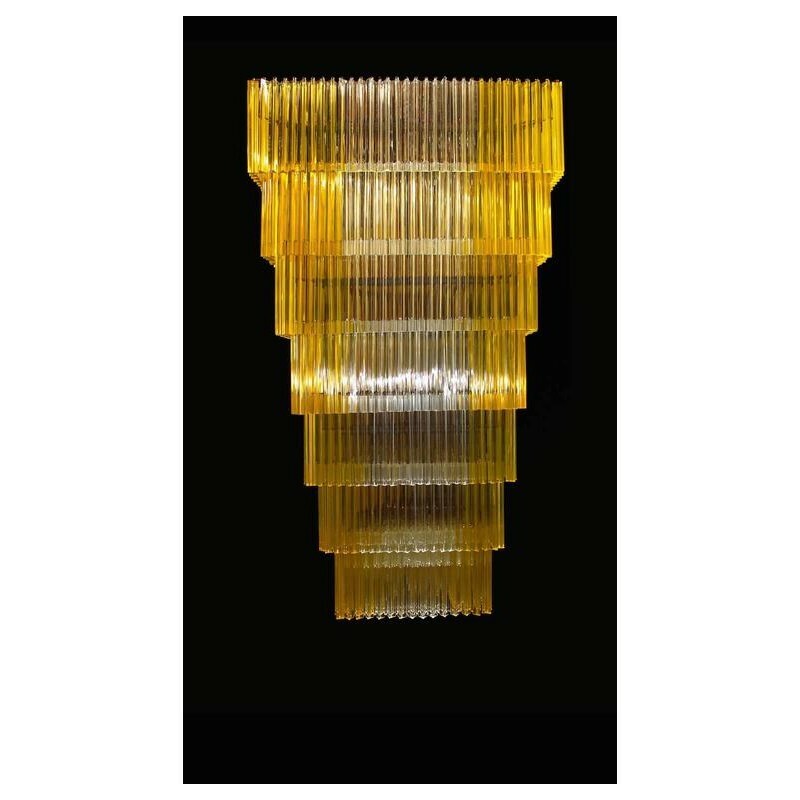 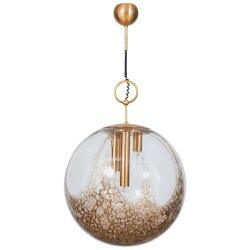 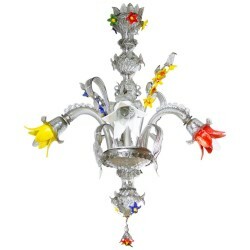 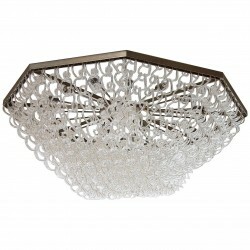 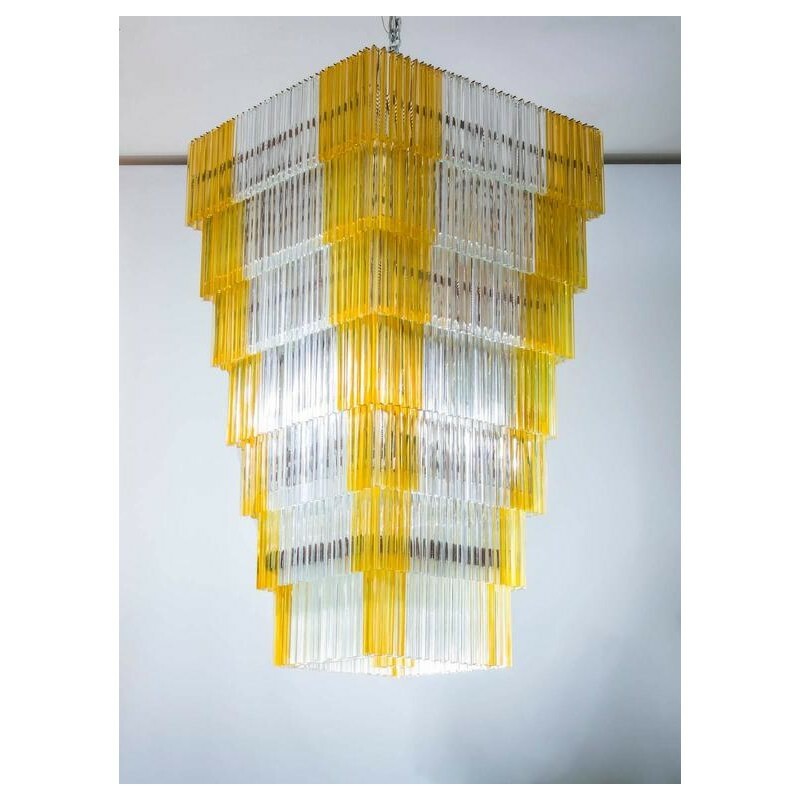 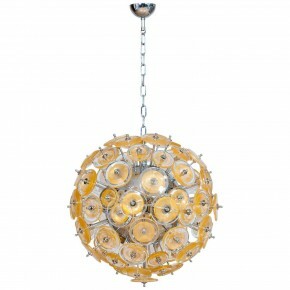 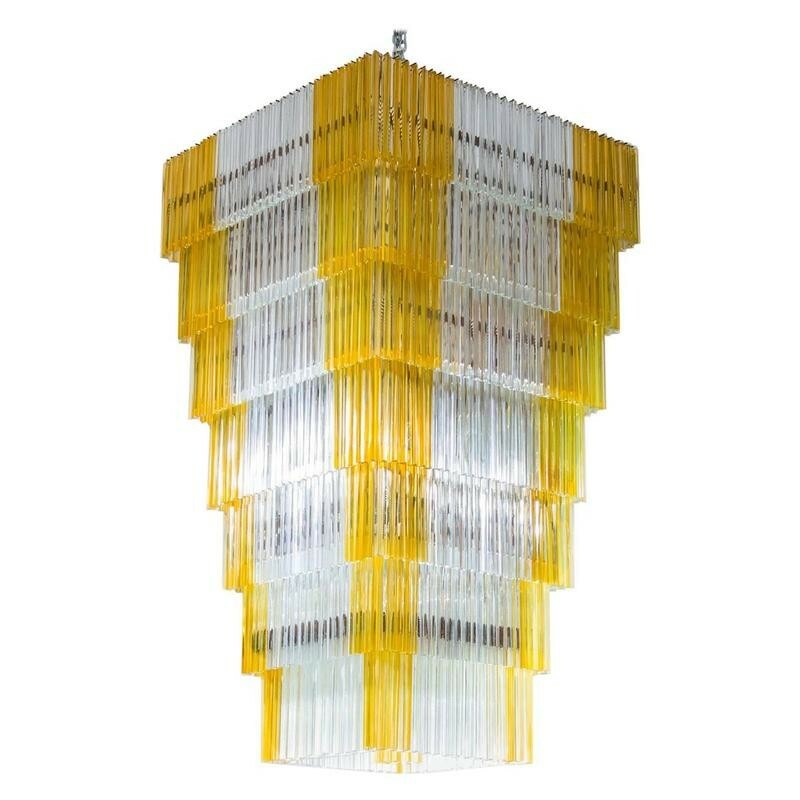 Amazing Italian square chandelier in transparent and amber Murano glass, composed of Triedro elements disposed in seven different levels, all supported by a vintage frame in a very elegant and unique shape. 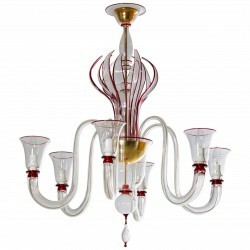 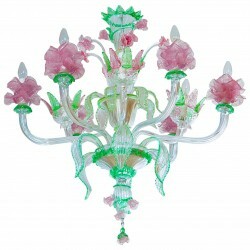 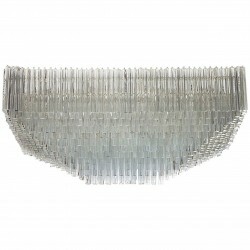 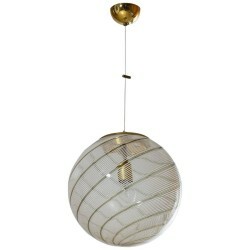 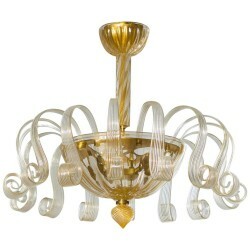 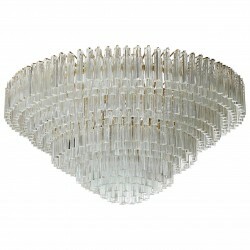 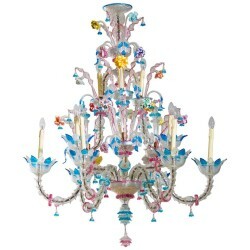 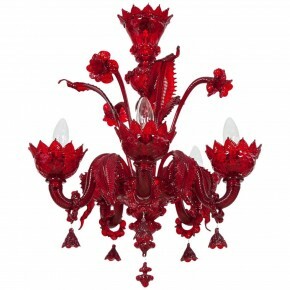 All parts were made and realized on the island of Murano, attributed to Venini, circa 1960s. 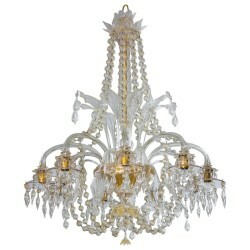 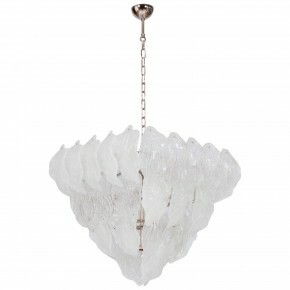 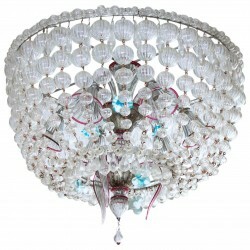 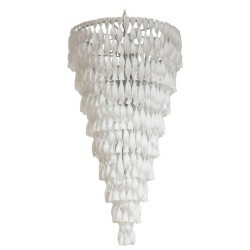 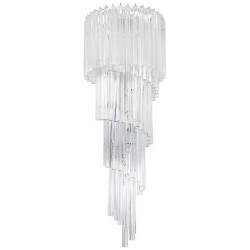 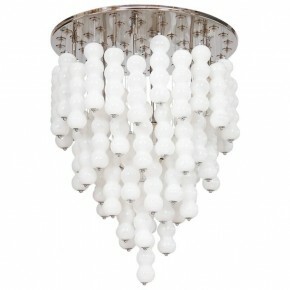 The chandelier is in perfect condition, without any imperfection and damage, and with all its parts. 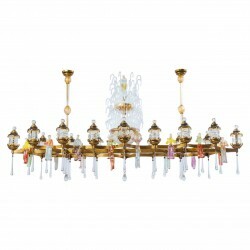 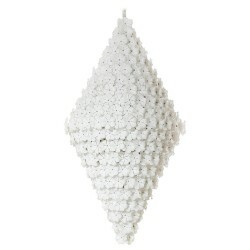 HEIGHT 200 cm / 78.74 in. 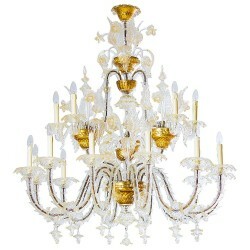 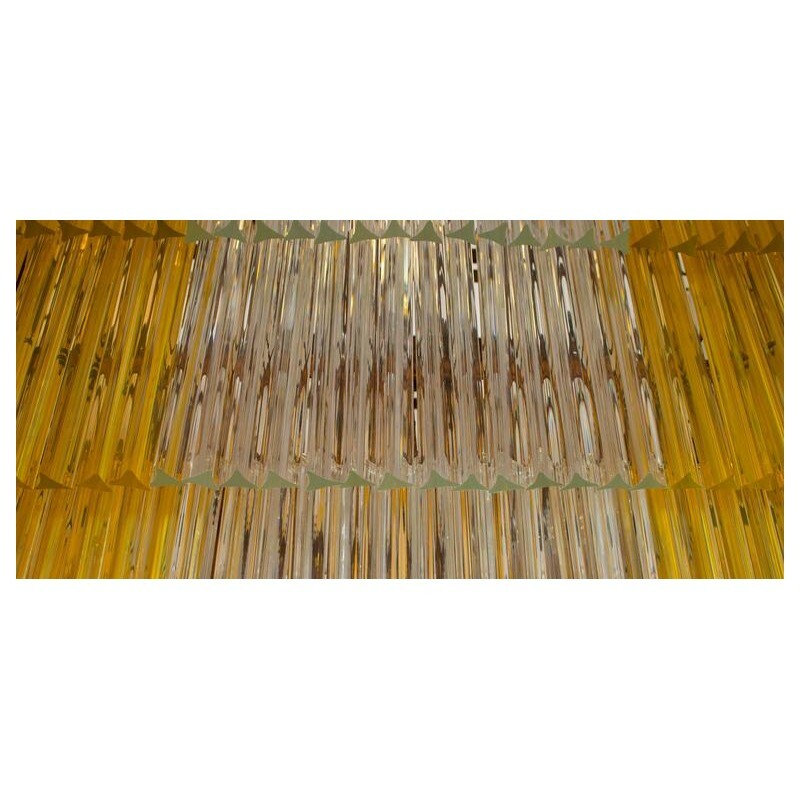 WIDTH 110 cm / 43.31 in. 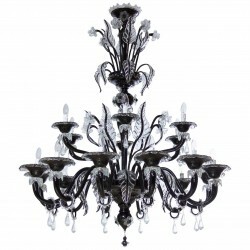 DEPTH 110 cm / 43.31 in. 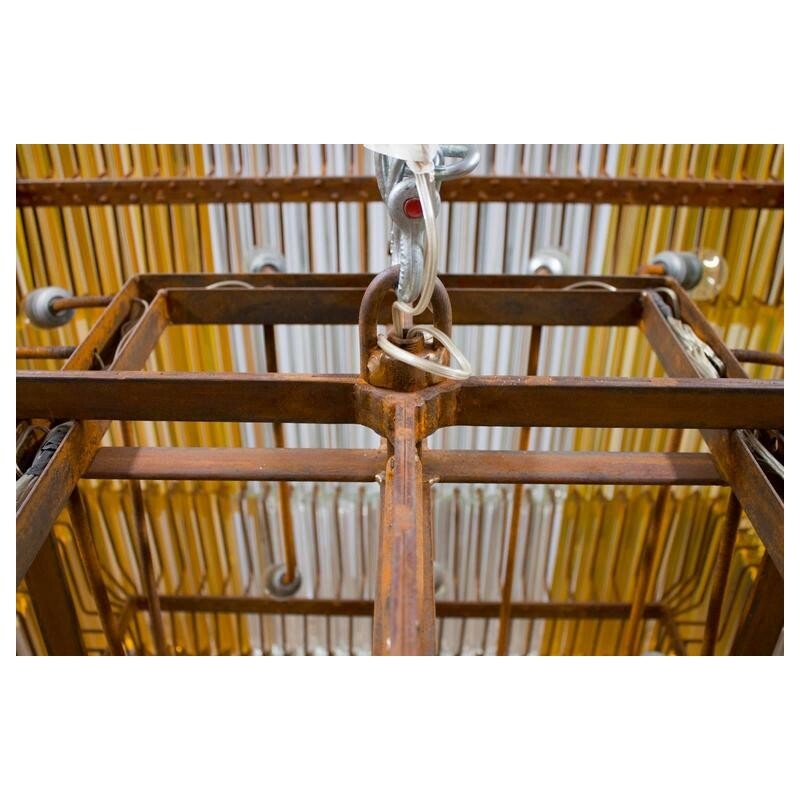 CONDITION Glass elements in perfect condition, frame with a little points of rust, as can see in the photos.